Aspiring actor Siddharth Gopinath had a starring role in Aadhi and Nikki Galrani’s 2015 film, Yagavarayinum Naa Kaakka. Siddharth Gopinath married Smrija three years back and a tragic incident has now transpired as the actor’s wife has now reportedly committed suicide after the couple got into a heated argument last night (03.09.2018) by hanging herself after her husband went to sleep. The police is said to have been informed today (04.09.2018) morning and investigations are underway right now. >>Yagavarayinum Naa Kaakka gets a trim? 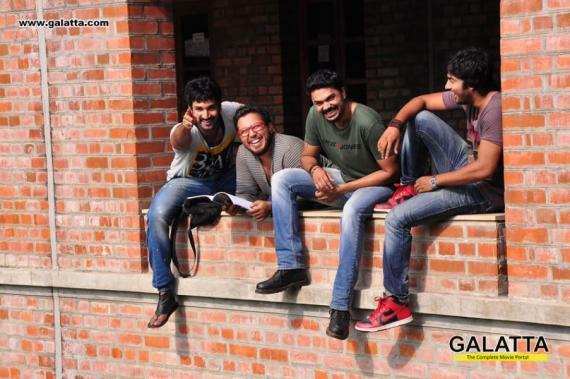 >>Will Sathya outsmart Aadhi in YNK? >>Bhumika Chawla's Statement on U-Turn! >>A 'U-Turn' moment in Samantha's Career!